Editor’s note: The following is a roundup of archival stories about concussions, including advice on how to recognize symptoms and explanations of why they can be so dangerous to children. A study published July 25 based on examinations of brains of deceased NFL players reported disturbing news about the prevalence of concussions. Of 111 brains examined, all but one were found to have chronic traumatic encephalopathy, or CTE, the degenerative brain disease caused by repeated blows to the head. Evidence has been growing that concussions among young athletes occur far more frequently than reported. This leads to concerns among parents for the safety of their children who play football, soccer and other sports in which they could suffer head injuries. The report also raises questions about the role and function of professional football in our society. On the one hand, we love it, with Super Bowl Sunday having become close to a national holiday and one of the most important advertising days of the year. But on the other hand, the number of injuries to the heads of these professional athletes-entertainers is becoming as hard to ignore as a penalty flag on a game-winning touchdown. 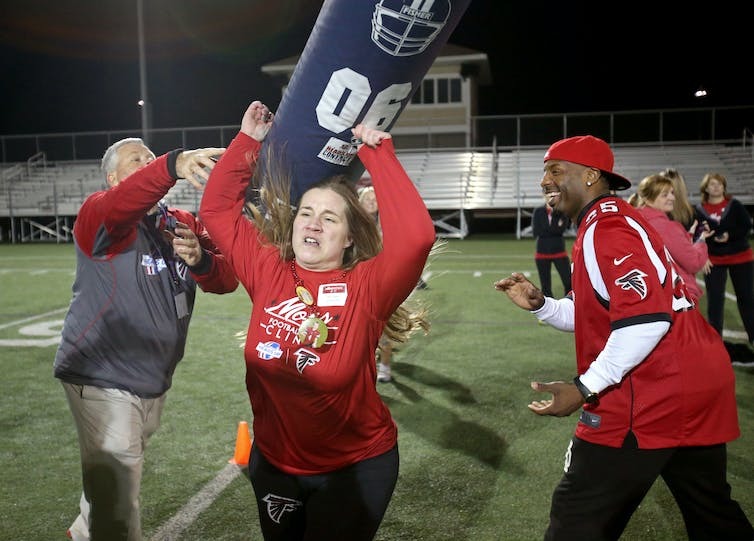 Yes, there are red flags, some argue, and then there are sirens – and in too many cases, they are coming from ambulances transporting wounded football players. Youth sports are a major part of childhood and adolescence, with an estimated 44 million children playing sports each year. Many parents and teachers actively encourage sports so that kids will stay physically active. In light of the growing concerns around concussions and brain injury, parents need to know that brain injuries can occur in many ways, explained Cindy Trowbridge, an associate professor of kinesiology at the University of Texas Arlington. The young brain differs from the adult brain in ways that place it in particular peril. Gerald Zavorsky, an associate professor at Georgia State University, explained last year just how under-reported concussions are among children. This is a big concern not only because of the health effects but also because of how children’s ability to learn can be impaired. Zavorsky went on to detail how this not only affects children’s health but also their learning. What do kids need to know? Young athletes need to be encouraged to report a blow to the head, dizziness and, indeed, any type of pain they feel, wrote J. Douglas Coatsworth of Colorado State University. But adults need to help children change a culture of “taking one for the team,” or continuing to play when injured. Coatsworth is conducting a study to see whether changes in adult attitudes could affect how children report. 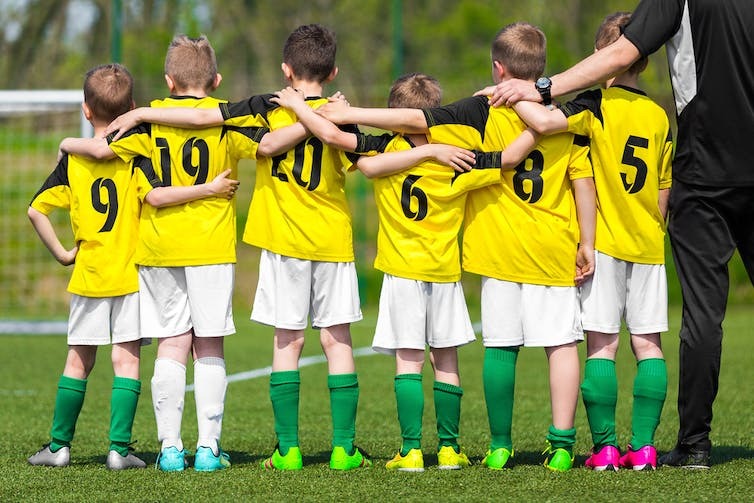 Even though football is one of our nation’s most beloved pastimes, some people are wondering not only whether they should forbid their children to play the game but even whether to allow them to watch it. In turn, they also wonder whether they themselves should watch the games. Kathleen Bachynski, a doctoral candidate in sociomedical sciences at Columbia University Medical Center, explained how this can be a difficult decision. And, Trowbidge reminded parents that the discussions go beyond football. Children can be injured in many types of activities and parents should know that concussions can occur from trauma other than a blow to the head.